Drive-Thru Records was the dream record label of my pubescent years (along with Fueled By Ramen, LOL). While now defunct, Drive-Thru Records had produced many great acts, one being Midtown, a pop-punk band from NJ. While many may be more familiar with lead singer/bassist Gabe Saporta's other act (Cobra Starship), Midtown is on a completely different level. Conveying emotions in regards to young adulthood, the work of Midtown can relate to any "angsty" teen. Their 2000 release, Save the World, Lose the Girl may be the least popular, but overall the best example of pop-punk from their catalog. Some may recognize one track from this album, "Let Go", as being the theme song for Real World/Road Rules Challenge: Battle of the Sexes on MTV, but don't assume that Midtown was a corporate sellout. 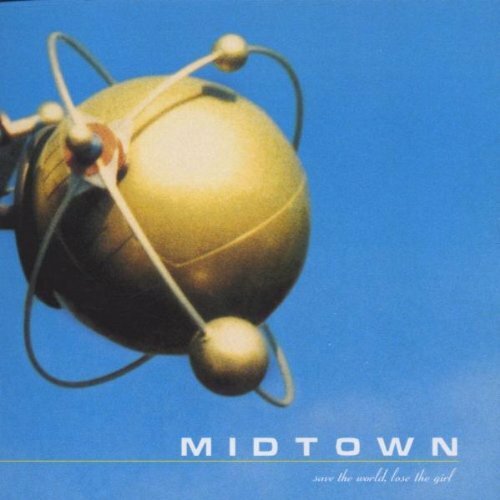 From their formation to their ultimate demise, Midtown was all about the music. Save the World, Lose the Girl is an essential addition to any music library, no matter what "taste" to which you subscribe.